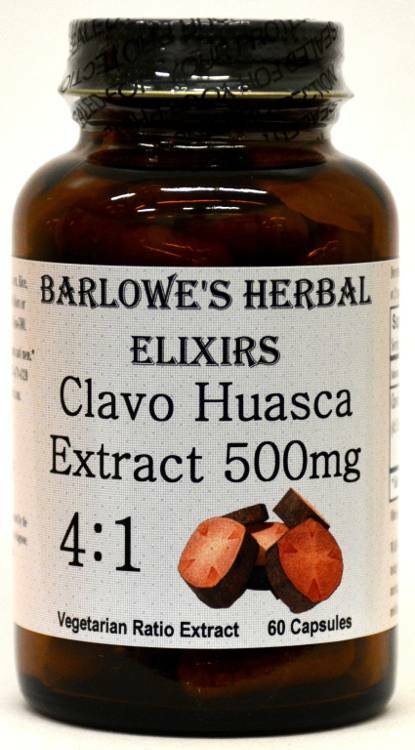 Barlowe's Herbal Elixirs now offers a rare 4:1 Clavo Huasca Powdered Extract. Clavo Huasca (Tynanthus Panurensis) is widely known as an libido enhancer for both sexes - but especially for women. It is widely sold for this purpose in Peru. Bottled in Glass! No Stearates! No Fillers! No Junk! 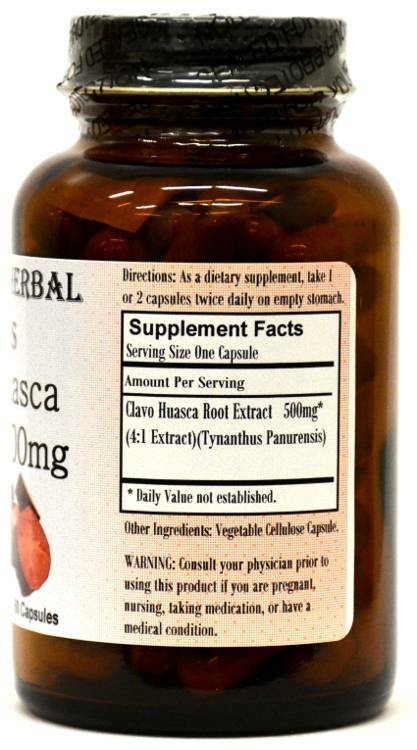 Barlowe's Herbal Elixirs now offers 4:1 Clavo Huasca Powdered Extract. Clavo Huasca (Tynanthus Panurensis) is widely known as a libido booster for both sexes - but especially for women. It is widely sold for this purpose in Peru. It is also good for digestion and upset stomach. 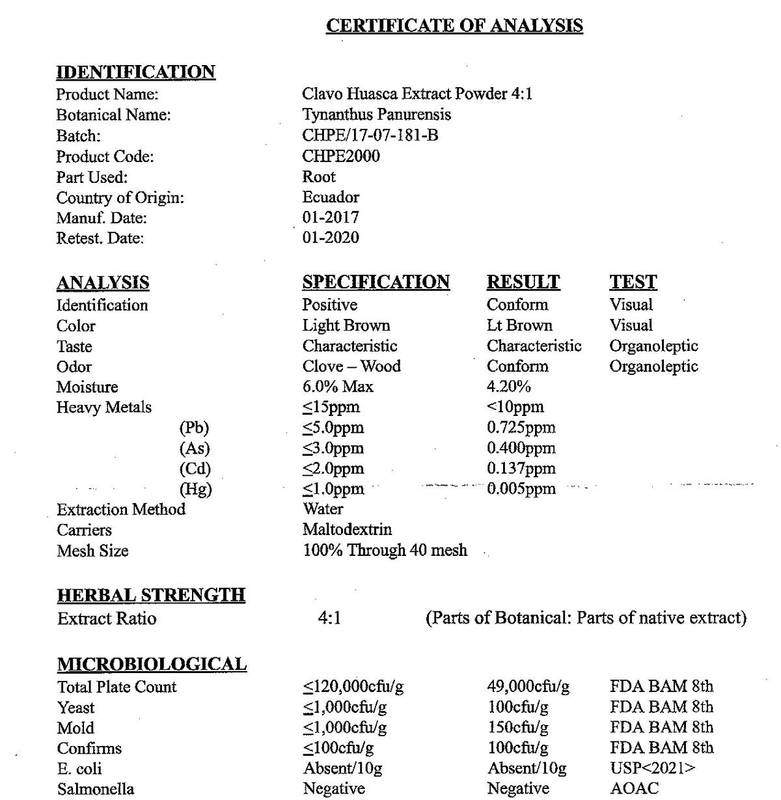 The Clavo Huasca Certificate of Analysis (COA) of this particular batch is shown above. Bottled in Glass! No Stearates! No Fillers! No Junk! Indian tribes in the Amazon rainforest highly regard Clavo Huasca as a libido enhancer for both men and women. It is reported to be especially effective for premenopausal women (but not as effective for libido loss after menopause). Indeed, some women report becoming too aggressive on Clavo Huasca, when taking it on a daily basis! Research: Despite its long and popular use in South America, there are no published clinical studies as yet on Clavo Huasca. However, in an informal study conducted recently, 19 of 38 women (all over 50 with no hormonal imbalances) who finished the study stated that Clavo Huasca improved their libido. Caution: Studies have shown that Clavo Huasca Extract is generally safe, but it is potent and should be utilized with care. This product is for dietary use. If unexpected side-effects occur, discontinue use immediately! For more information, contact Barlowe at BarlowesHerbalElixirs.com. The above statements have not been evaluated by the Food and Drug Administration (FDA). This product is not intended to diagnose, treat, cure, or prevent any disease. Directions For Use: Take one capsule twice daily on empty stomach. For some people, dosage may need to be increased as results and usage amounts vary based on body type and weight.